Speaking to Reuters on Wednesday, Minister of Women Affairs Aisha Jummai Alhassan said that President Muhammadu Buhari told the All Progressive Congress (APC) in 2014/15 that he only intends to run for one term. “In 2014/2015 he said he was going to run for only one time to clean up the mess that the (previous) PDP government did in Nigeria. 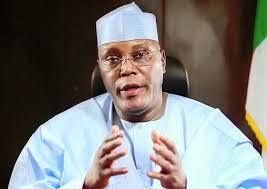 And I took him for his word that he is not contesting in 2019,” Alhassan said. Alhassan has been in the news since Wednesday after a video of her praying that former vice president Atiku Abubakar becomes president in 2019 surfaced online. Buhari has however not declared any intention to contest again in the 2019 general elections. Alhassan has however said that she’ll campaign for Atiku if he contests in 2019 irrespective of who else is on the ballot. “If today Mr. President says he is running in 2019 I will go to him respectfully and thank him for giving me an opportunity to serve and then tell him that I have to resign because my political father may be running,” said Alhassan. 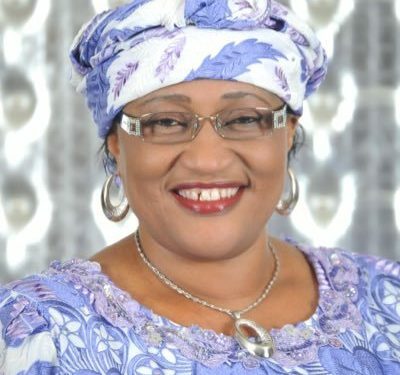 Reacting to criticism which trailed the video recorded during her visit to Atiku during the Sallah holiday, Alhassan accused her “political detractors” of “amplifying and misinterpreting” the visit so as to smear her image because they were afraid of her growing political strength in Taraba. “In a nation where politicians are quick to dump the people that assisted them to get to where they are, for political expediency, I have chosen to maintain a long standing family relationship with Abubakar, as well as Buhari, who I consider as a father. Besides, neither Buhari nor Abubakar has officially told anyone of an interest in seeking election in 2019,” she said. Declaring that power comes from God, she said that if she loses her job because of her visit, she would consider it as the will of God. She urged Nigerians to support the policies and programmes of the Buhari administration because it was time for governance and not yet time for politicking.